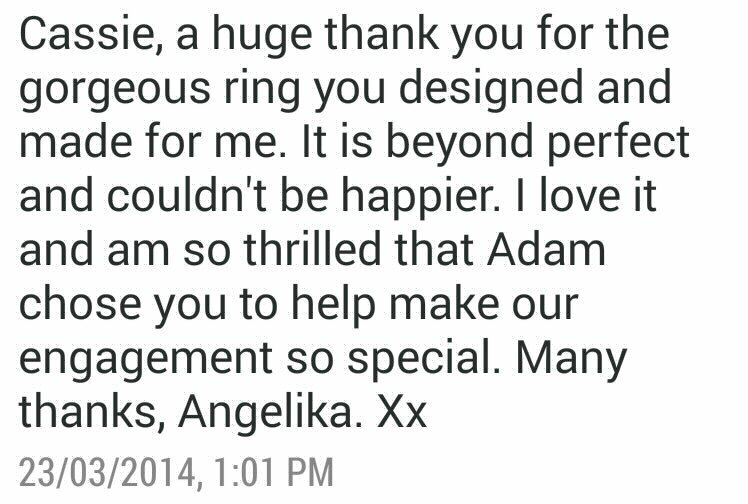 Adam and Angelika had been dating since they were 16 and 17, so Adam had been giving considerable thought to his proposal to his girlfriend of 7 years. 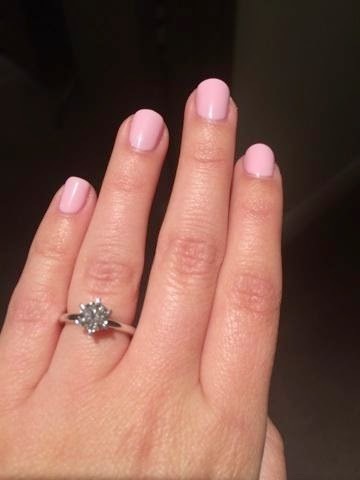 Adam, who was training for the police force decided that the perfect night to propose would be the night of his graduation. 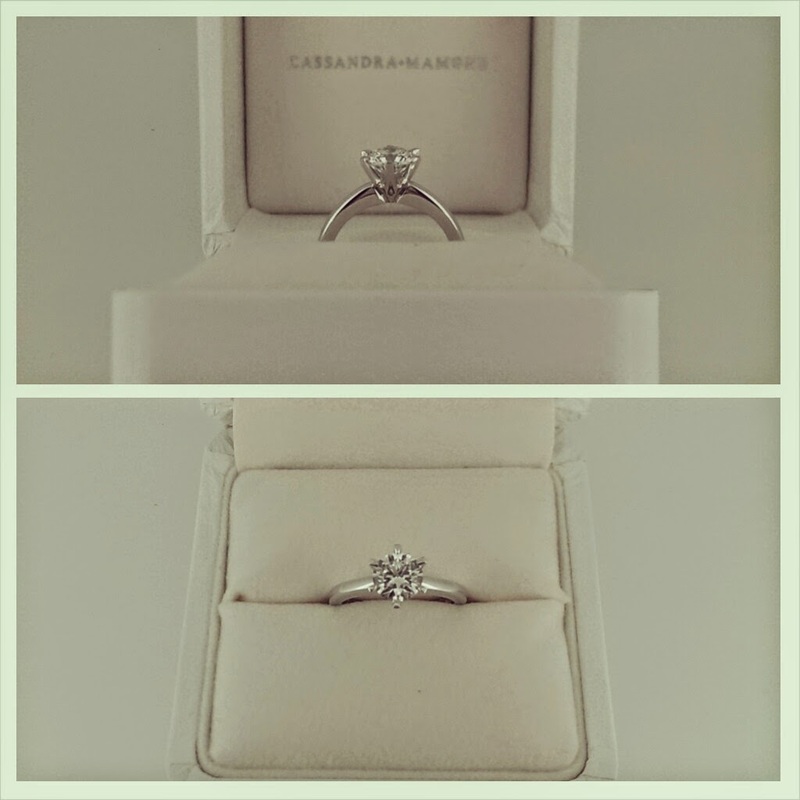 Adam contacted fine jewellery designer Cassandra Mamone with a vision of what Angelika’s perfect ring should look like. With Angelika's petite frame, Adam knew he wanted the focus to be on the diamond itself. A round brilliant cut colourless diamond set in a 6 prong setting in 18ct white gold, came to life. A colourless GIA certified diamond in a 6 claw setting and band of 18ct white gold. On Friday 21st March Adam and Angelika had a fabulous evening at Adam's graduation dinner. As it was their anniversary that weekend, Adam had organised a hotel suite in the city where he could propose to Angelika. Like the cool and casual couple they are- they were talking about their future together when Adam suddenly dropped to one knee and pulled out a white box. 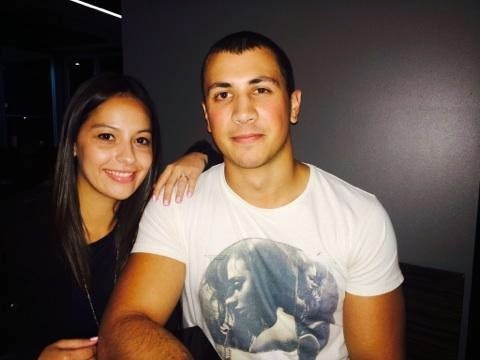 With so much to look forward to, Angelika and Adam are planning to marry November of 2015. They are hoping to create a beautiful, rustic and intimate evening surrounded by their loved ones at a romantic winery along the outskirts of Adelaide. Best of luck to the happy couple! !